Welcome to Empress #1003, our Home Away from Home! 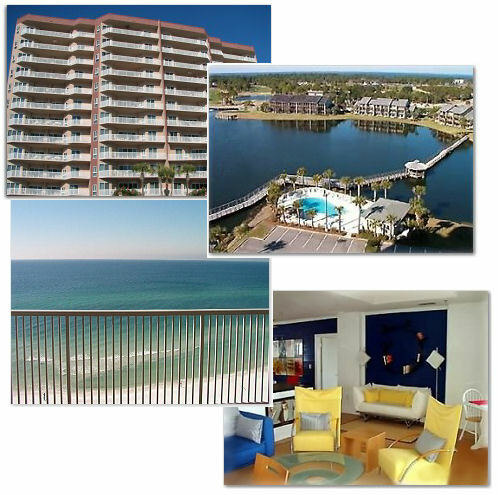 This three bedroom, three bathroom upscale condominium is located on Scenic Gulf Drive right on the beach in beautiful Destin, Florida. The view of the Emerald Green waters of the Gulf of Mexico are unbelievable. Our unique floor plan features two huge balconies with views of both the Gulf and the bay overlooking Seascape Resort and Golf Course. 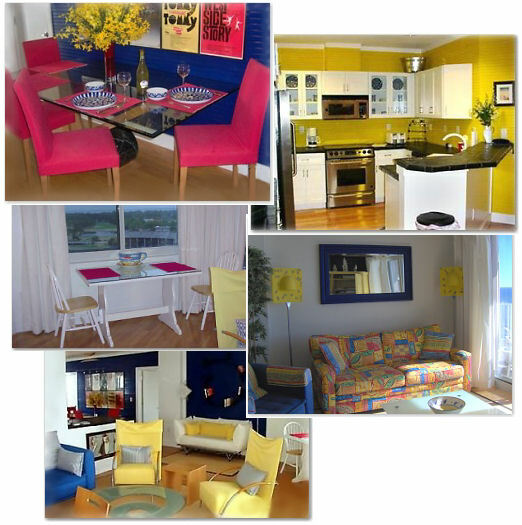 We have beautiful hardwood floors and brightly painted walls in our unit and they showcase the beach feeling making your time here one to remember. Views of the gulf from the master bedroom, living room, kitchen, and front guest room are awesome and when you are on the balcony you feel as though you can reach out and touch the ocean. The kitchen features ceramic tile countertops and stainless steel appliances and is stocked with everything you would need. There are only 44 units in the building. It is a gated community and has a large pool, hot tub and exercise room for your enjoyment. Large balconies on both the front overlooking the gulf waters and on the back overlooking the bay and Seascape Resort. Views of Seascape Golf Course from the back balcony. Sorry ...No Pets-No Exceptions. Must be 25 years old to rent unit.No Smoking in unit or on balconies-No Exceptions. Deposit will not be refunded. Rental Owner Comments: Please call during Central Time Zone hours 8:00AM - 6:00PM. 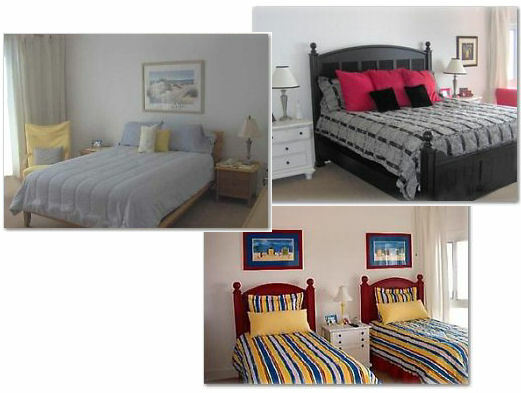 Golf, Theme Park (Amusement Park), Shopping, Sightseeing, Restaurants, Sailing, Boating, Waterskiing, Parasailing, Jet Skiing, Shelling, Swimming, Snorkeling/Diving, Surfing, Windsurfing, Biking, Hiking, Fishing, Fitness Center/Gym, Cinemas/Movie Theaters, Museums, Miniature golf Air Conditioning, Washer, Dryer, Linens Provided, Garage: One parking space in the garage, just steps from the elevator. Cable TV, Play Station, Surround Sound, Outdoor Speakers, VCR/DVD Jetted Tub in Bath, Shared Hot Tub, Private Pool, Shared Pool, Full Kitchen, Microwave, Dishwasher, Refrigerator, Ice Maker, Cooking Utensils, Phone, Double Bowl Sinks in all Three Bathrooms, Jetted Tub and Separate Walk-In Shower in Master Bath, Guest Baths Have Tub/Shower Combo, Large Closets and Two Closets in Master Bedroom. TAX and CLEANING: There is a 11.5% tax applicable to rental rate plus cleaning fee. The cleaning fee is $125 for weekly rentals and $175 for monthly. Contract: Along with payment schedule described below, please sign the rental contract which outlines the rental agreement and fees and review the Rules and Regulations. Clicking on the words Rental Contract at the end of this sentence will launch a new window containing the contract. Print it out from you browser and remit a signed copy with your payment. Deposit: $350 refundable damage deposit. Weekly Rentals - FULL Payment due 30 days prior to arrival. Two week Cancellation notice. Monthly Rentals - FULL Payment due 90 days prior to arrival. 60 day Cancellation notice. Cancellations: 30 day notice for weekly cancellation or deposit and rental fees are forfeited. 90 day notice required for monthly cancellation. No refunds for early departures or late cancellations. All are weekly rates - 7 night minimum stay. All rates subject to change. Saturday to Saturday only. Winter Months: 3 Month Minimum - Inquire about Winter rental prices. No rentals will be made to persons under the age of 25.